Wedding memories are to be treasured for a lifetime. So why have one that is not so memorable? Plan a wedding that will everyone talking about it even several years later. Even if you are on a budget, weddings can be turned into extraordinary events with a little bit of creativity on your part. Even celebrity weddings are trying out different original ideas to make their wedding the talk of the town. 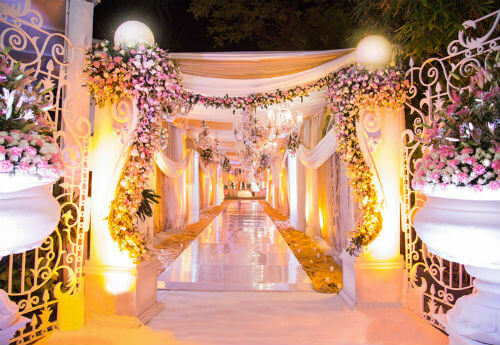 Making a grand entrance is one of turning your wedding into a celebrity style wedding easily. With flash mobs picking up popularity among the ordinary folks, you can have a special flash mob at the wedding to surprise the guests. This can be easily coordinated with the family with a few easy steps. The DJ needs to be alerted beforehand when it is time to switch the music, and voila, your wedding day just got even better! In North Indian weddings, the long standing tradition of the groom on a horse followed by the bharaathi is being replaced by more modern modes of transportation. The latest trend has been for the groom to reach the wedding venue via a helicopter ride. Or you can switch that to a ski boat depending on the location of the wedding venue. Interestingly venues also offer interesting ways to make an entrance, like coming out of a floor entrance or a down a beautifully carved stairway. This makes sure that all eyes are on the newlywed couple as they make their grand entrance. Celebrity wedding decorations often include grand entrances that offer plenty of excellent photo opportunities. Celebrity weddings tend to have a big budget most of the time. 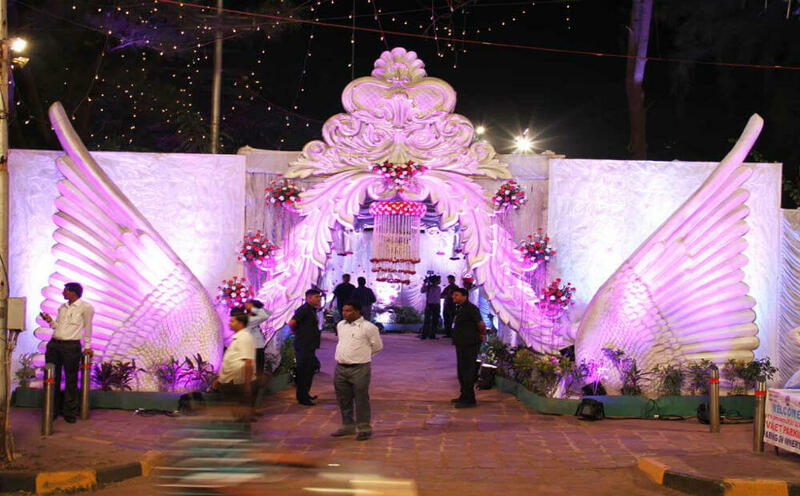 This leads to thousands of flowers making an appearance at each of the marriage functions. Since each function usually has a colour theme, the flowers are chosen to complement the theme as well. Tiruvallur near Chennai is famous for their beautiful flower markets. It is hardly 20 km from Chennai and is a favourite haunt of many wedding planners. You will be able to see plenty of people going through the different stalls to find flowers with a particular shade and more. This village has been farming flowers for decades. Flower cultivating is comparatively easier, making it easier for the farmers to turn it into a family business. Having a rose petal carpet at your dream wedding can be made possible with the lovely flowers all the way from fragrant Tiruvallur. In today’s fast paced lifestyle, weddings are the only time the entire family gets to come together and spend quality time with each other. Make the most of this event by planning some memorable programs like putting up a dance by the younger kids or a qawwali show by the mature ladies of the family and so on. Wedding celebrations are a time for joy and celebrations, so make the most of it and incorporate as many fun activities as possible. Your guests will definitely thank you for it. So get ready to enjoy yourself at the wedding event of the year!